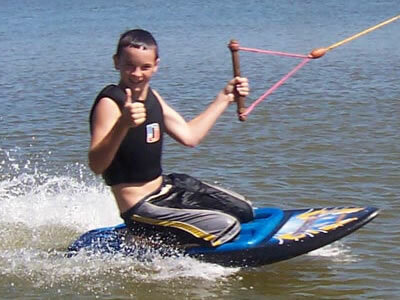 Marbella water sports are abound for families and kids of all ages who love to get into the sea and have fun. Although the Mediterranean Sea off the coast of Marbella is not as warm as the coast of Florida or Hawaii, it is warm enough to enjoy some fantastic fun in the Spring and Summer seasons. During the Fall and Winter, it can also be great but the faint hearted should be prepared with a wet suit - just in case! 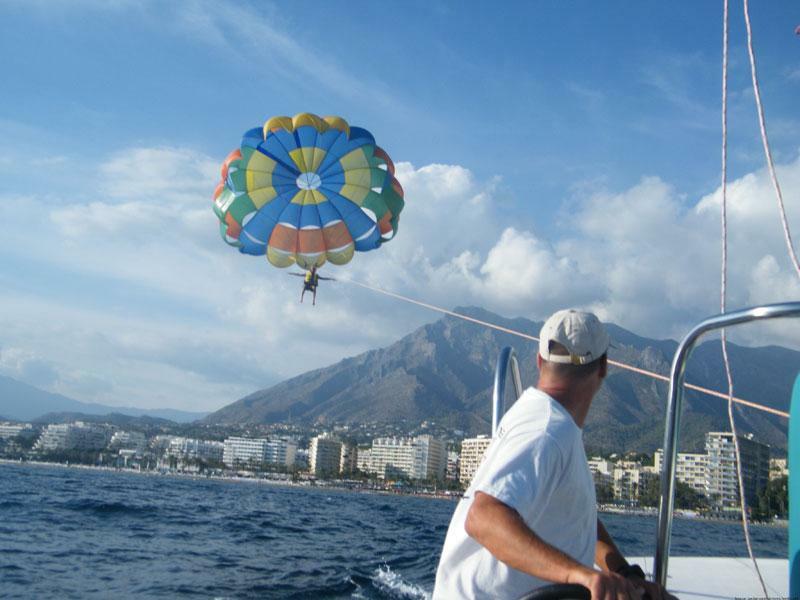 This page highlights some of the numerous Marbella water sports available along the Costa del Sol. 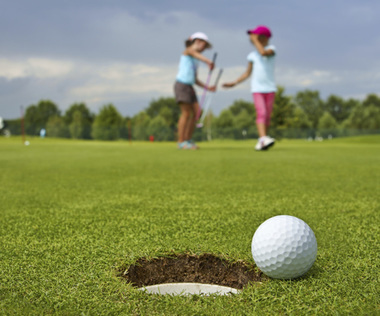 You will also find expert guides who are experienced in working with families, including children of all ages. Many of them operate only during the summer seasons so be sure to contact them if you plan to use their services during other times of the year. 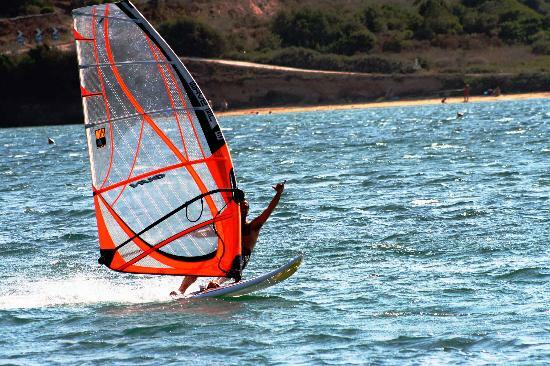 Have you found a water sport in Marbella that you think others would enjoy? Let us know about it using our Share a Tip feature in the function bar, above. We'd love to hear your recommendations! 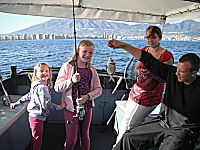 Boat Charters on Marbella and the Costa del Sol offer one of the most exciting and unique ways to experience the beauty of the Mediterranean. Check out our family recommended service providers. 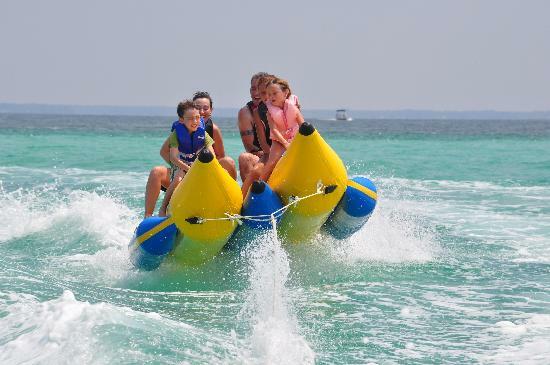 Beach Activities where you can drive go-karts, bumper cars, jump on boucy trampolines, ride banana boats while enjoying a pool, restaurant, and more. You can spend a whole action packed day at this beach resort. Cable ski is a great way to try a different kind of sport. Located on a beautiful natural lake in Guadalmina Alta in San Pedro de Alcantara just 5 minutes from Puerto Banus. 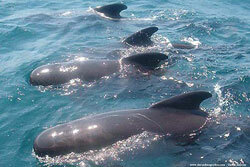 Dolphin & Whale watching from Estepona and into Morocco. Dolphin tours can be arranged from Puerto Banus and it is a fantastic way to experience the magic of dolphins frolicking in the Mediterranean. 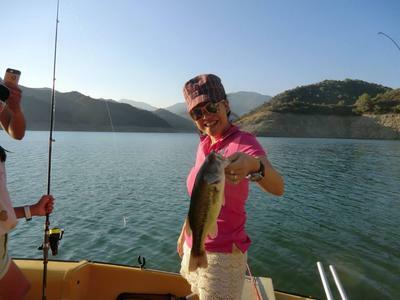 Fishing opportunities are abound in Marbella and experienced guides offer great access to local sites that have the perfect characteristics that almost guarantee the presence of fish. 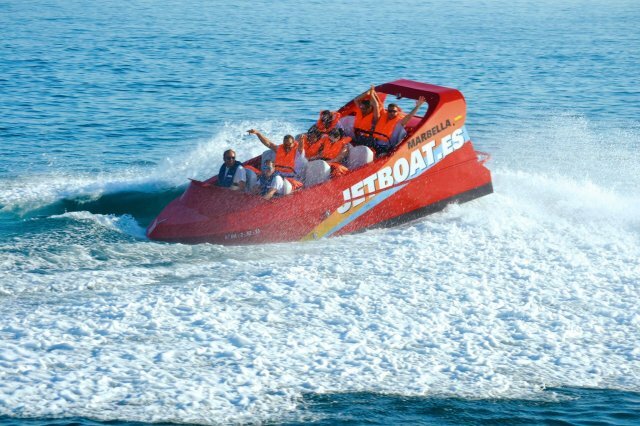 Jet Ski Marbella Watersports is one of Spain's leading resort water sports operators that offers a wide range of activities from fully certified instructors so you can feel the rush and exhilaration of extreme water sports. Jet Ski Team Xtreme gets you into the sea in your personal, Jet Ski! 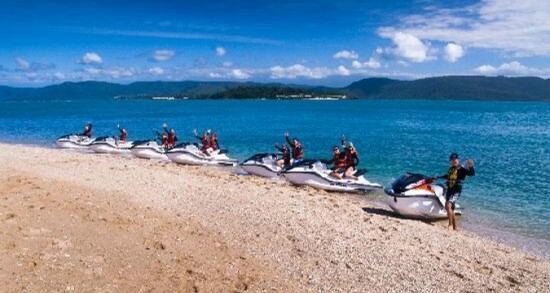 They can arrange hire of a range of jet skis for a full morning or afternoon. Where better to enjoy this exhilarating activity, than in southern Spain? 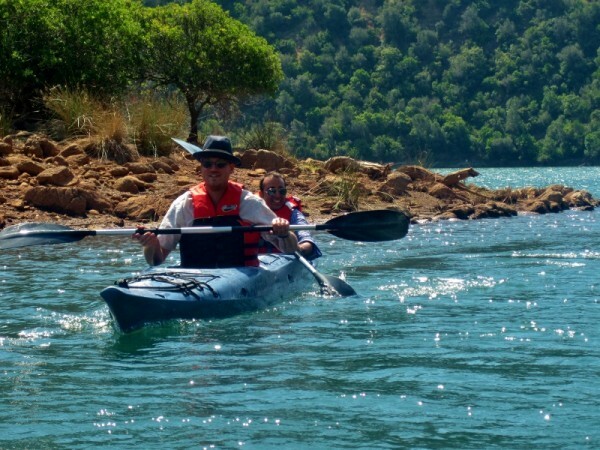 Kayaking in the sea or on one of Marbella's many lakes or rivers is a great way to get close to nature while getting some great exercise. Numerous operators exist who can provide all the equipment and training needed. Kite Surfing is an exhilarating way to use the power of the wind to supercharge your surf board. 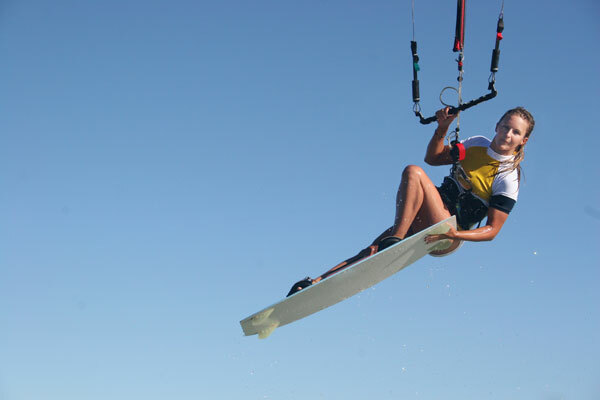 You'll find kite surfing available mostly during the summer around Marbella and year-round in Tarifa. Sailing is a very popular sport in the Marbella area with numerous providers offering a variety of boats for hire and a range of aquatic activities that will keep your family entertained at sea. Marbella Sailing School offers courses that get you up to speed quickly so you can spend the summer enjoying great sailing on the Mediterranean. Located in the heart of Marbella near the Puerto Deportivo de Marbella. 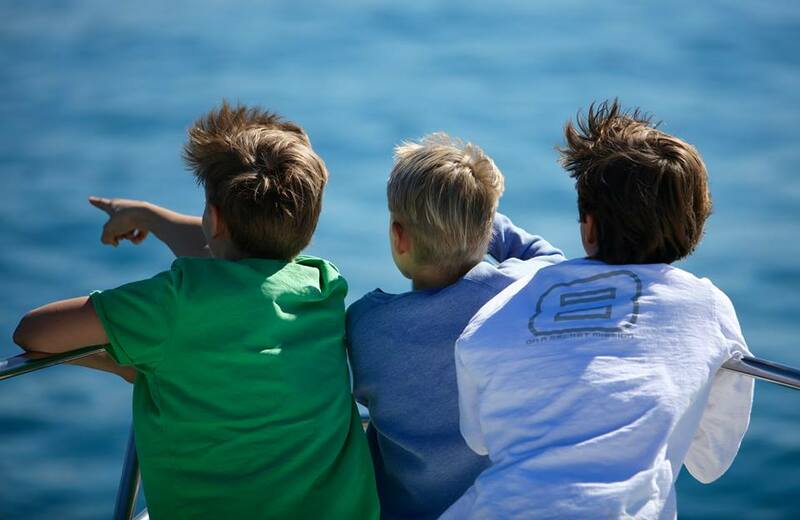 Sailing Team Xtreme will get you put into the right boat to meet your skills and expectations. Whether you're looking for a boat for a large group or an aggressive racing sloop, Team Xtreme will address all your needs. Scuba Diving Marbella with calm, clear semi-tropical waters surrounding us, Marbella is the ideal location for residents or holiday makers wanting to discover the Costa's unique underwater environment. 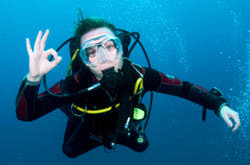 Scuba Diving School Happy Divers is a diving center located in Marbella Port. It offers PADI 5* Career Development Centres & National Geographic centres for those on the Costa del Sol in Spain. 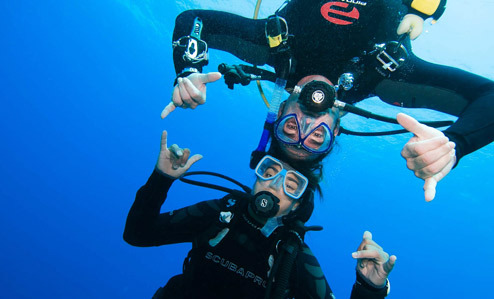 Scuba Diving Team Xtreme is a turnkey operator who will sort out all the details for your scuba adventure in Marbella. Whether you're an expert or it's your first time out, Team Xtreme has the resources and experience you need. Surfing of all types is readily available on the coast. 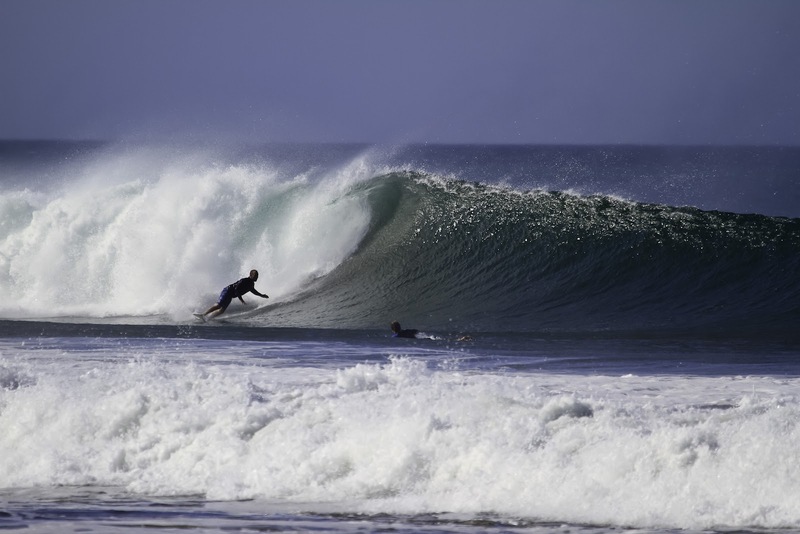 Although more advanced surfers venture toward Tarifa, Marbella offers some great local places to "Hang Ten" on the Costa del Sol! 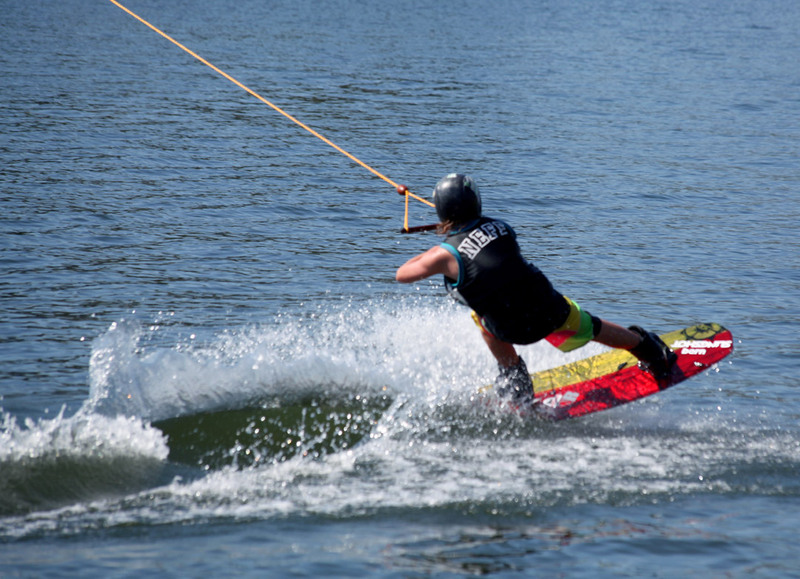 Wakeboarding is a surface water sport which involves riding a wakeboard over the surface of a body of water. 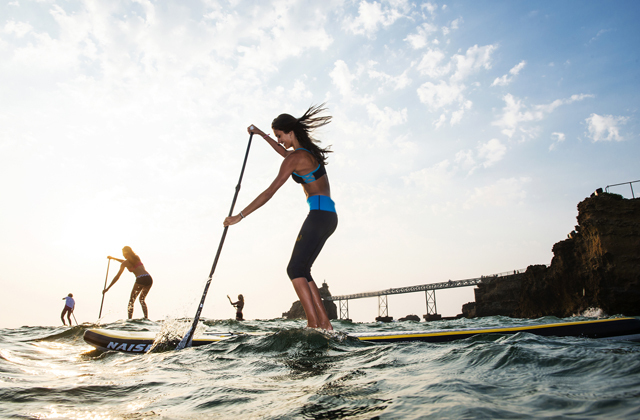 You'll find loads of options to wakeboard along the entire coast. Waterskiing occurs mostly during the summer months in Marbella, when the air temperature rises well above 25-degrees, Celsius. 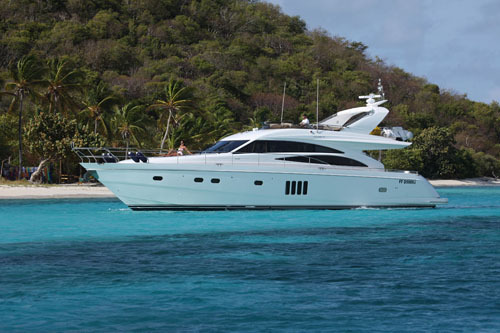 There are numerous providers who offer boats and equipment along the entire Costa del Sol. Windsurfing is especially popular on the beaches of Tarifa, where you can literally see hundreds of windsurfers catching strong wind gusts across the Atlantic. Parasailing is a lot less strenuous than kite boarding and you get yourself much higher without the effort. A really fun way for kids and adults to experience the ride of a lifetime. 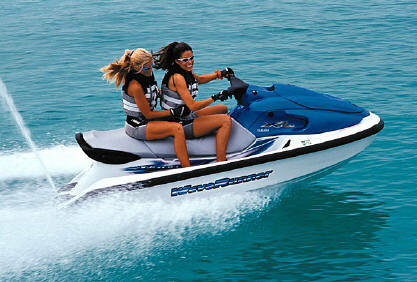 Have a question or recommendation about water activities in Marbella or the Costa del Sol? Is there a swim with dolphins experience in Marbella? Which waterpark is best for small children (4 years and 6 years)? Hi, Which of the water parks would be best for children age of 4 years and 6 years? Or are all rides too scary for children at this age?